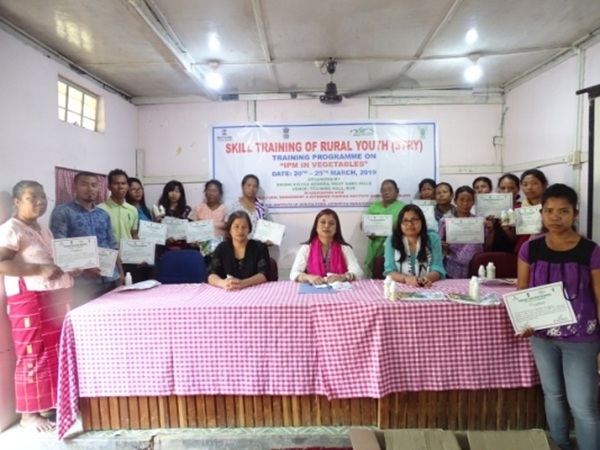 ICAR, KVK, West Garo Hills, Meghalaya in collaboration with ATARI Zone VII, Barapani, Shillong, SAMETI, Meghalaya and MANAGE, Hyderabad conducted six days Skill Training of Rural Youth (STRY) training programme on “IPM in Vegetables” from 20th -25th March 2019 at KVK training hall. 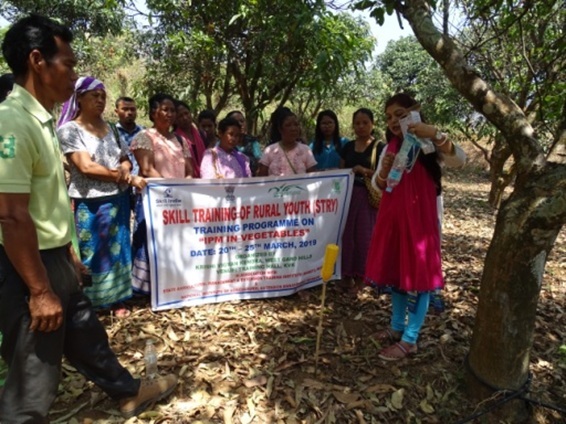 Fifteen (15) participants including rural youth and farmers and farm women attended the training programme. The programme started with welcome speech by Senior Scientist and Head (i/c) in the presence of KVK officials, after brief introduction of the participants to the house the training started with the theory class on IPM in vegetables. Tribal farmers of Garo Hills have very meagre knowledge of managing insect pests and diseases of vegetables. Sometimes some ITKs are used but that have very mild impact on managing the pests which ultimately results in yield loss. 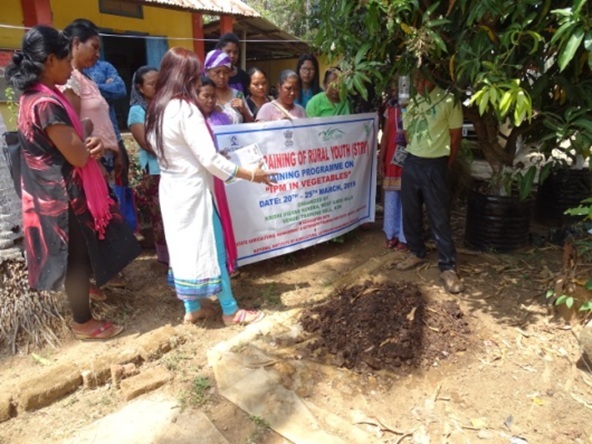 Keeping in mind that in Meghalaya chemical fertilizers are not used and only biopesticides and biofertilizers are accepted and used by the farmers the entire courses both theory and practical were formulated on the basis of use of organic inputs for integrated pest management in vegetables. Different biopesticides containing different bioagents like Trichoderma, Pesudomonas, Bacillus, Beauveria, Metarhizium, Paecilomyes etc and neem based products were discussed with the participants during theory classes as well as handling of these bioagents as seed, soil and spray treatment were taken up in the practical classes. Also different baits for attracting friuit fly and aphids were explained to the participants along with practical demonstration. 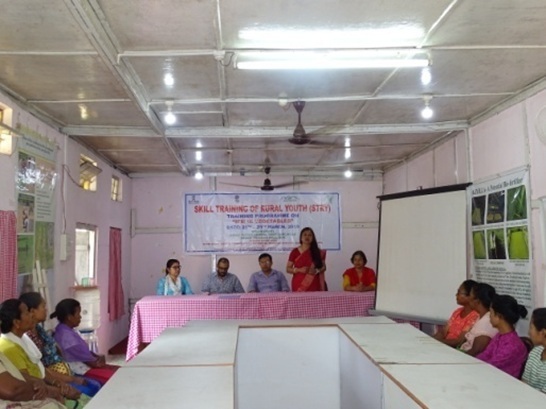 The training ended on the sixth day i.e 25th March 2019 where certificates were distributed to the participants along with bioinputs like Trichoderma harzianum, Neem oil, Beauveria bassiana. Overall the training was successful.